Lil’ Bit here. Seems I got some bad press in this spot last week. Apparently, just because I like boxes and am pretty fast on my feet, some people thought I was selfish. 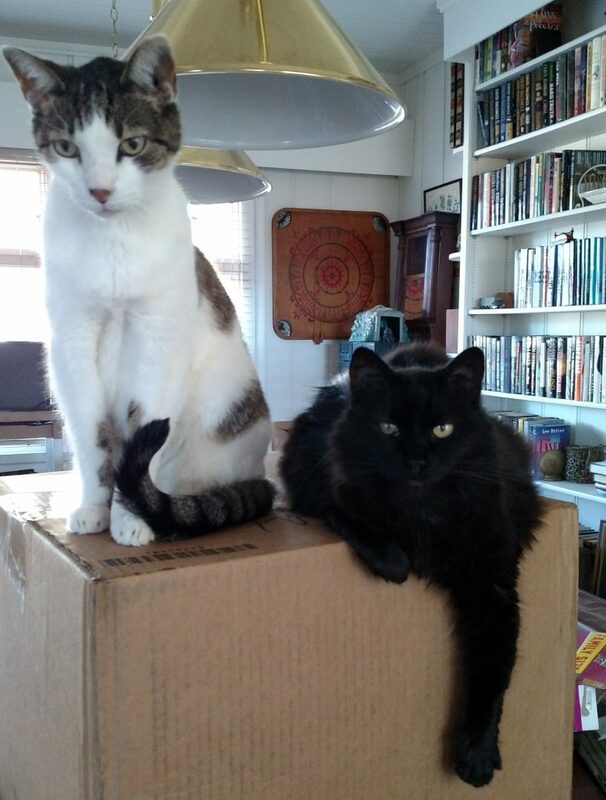 Well, here is a photo of me and my brother, Maxie, [almost] contentedly sharing a new box. I may have gotten there a little before he did, as you can see. I’ve had time to relax a bit. Hi Lil’ Bit & Maxie! I love boxes, too! And your box is a mighty fine one! Have you told your momma that you want to keep it? Will it become your castle? I have a cardboard castle that is portable. I have to keep watch of it all the time, so the mice don’t take it over. They try to dig their way under the walls! Pesky they are! Lil’ Bit here. Oh, Valentine, a castle! How appropriate for a princess, less the mice of course. I’d be on constant look out. 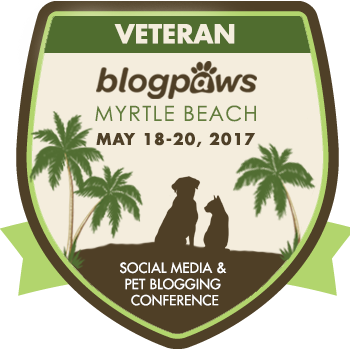 Mom won me us a cardboard climbing cubicle at BlogPaws in 2015 and it was lots of fun…for a while. You know, a girl just needs a change now and then. Hope she wins something good next week in Myrtle Beach. Lil’ Bit won out but she is much more intent in her love of boxes. Sort of like me and dark chocolate! It’s always nice to share with your siblings….unless it’s catnip, then keep it all to yourself!!! MOL! Lucky for my sister, Lexy, I don’t like boxes. She gets them all to herself. I know, I’m a little weird. You may think you are a little weird but I don’t think so. There are a couple of kitties around here that aren’t too into boxes. Don’t think I’ve ever seen Bobbie or Eppie in a box! I guess some kitties are just that way!